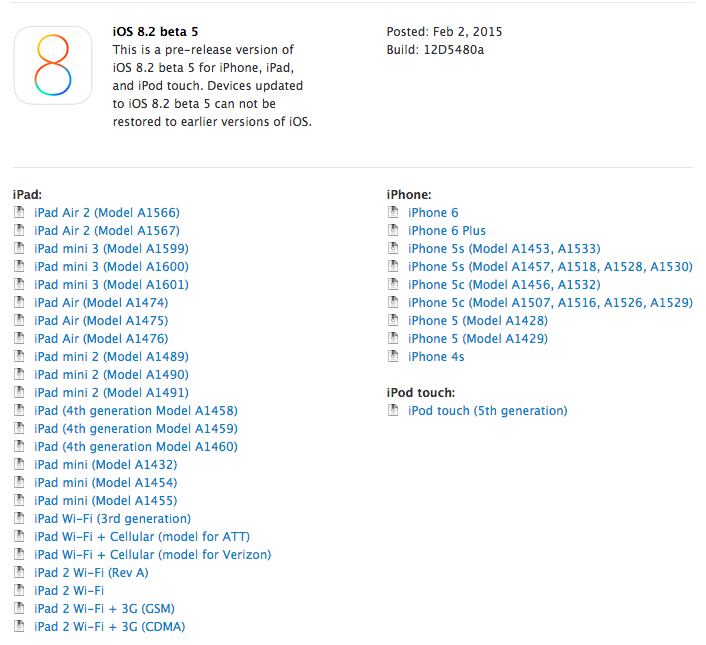 Apple has just released iOS 8.2 beta 5 for developers, available via the iOS Dev Center. This build, version 12D5480a is available for all iOS devices and also includes a version for Apple TV Software beta. Also new is Xcode 6.2 beta 5 with WatchKit, again allowing developers to create apps for Apple Watch ahead of its debut in April.